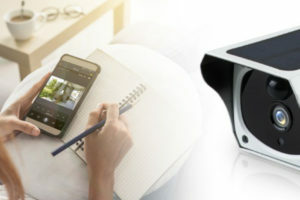 Taipei, Taiwan, April 2, 2019 – VIA Technologies, Inc., today announced that it is showcasing the VIA Mobile360 Surround View in-vehicle 360° video monitoring system at the 9th China International New Energy and Intelligence Vehicle Forum (NEV China 2019) held in Shanghai on April 2 – 3. At the event, VIA is also demonstrating the 10th generation “Little Lion” autonomous delivery vehicle from Wuhan-based Aisimba Technology featuring a VIA Mobile360 Surround View system. The Aisimba “Little Lion” is a world-leading special-purpose transportation robot for indoor and outdoor applications that can be used for transporting objects, delivering packages, and sending documents to schools, residential communities, industrial parks, and high-technology parks. On Aisimba’s cooperation with VIA, Zhang Liang commented that the two companies will leverage their complementary strengths to accelerate the mass adoption of autonomous driving by the general public as soon as possible. VIA Mobile360 Surround View is a highly-integrated in-vehicle system that be customized for wide variety of driver assistance and autonomous applications with its support for 360° video monitoring, ADAS, DMS (Driver Management System), NVR, and sensor fusion. The 9th China International New Energy and Intelligence Vehicle Forum (NEV China 2019) takes place in Shanghai on April 2 – 3. Experts from more than 260 companies around the world are set to attend the forum to discuss pioneering technologies and trending topics in new energy and smart vehicles. The forum will cover Internet-of-Vehicles technology and cyber-security, fuel cells, hydrogen production and storage, wireless charging, sensors and ADAS, artificial intelligence and autonomous driving. These NEV-related fields will encompass the entire global industry chain for new energy vehicles. ← Is it Time to Phase out Traditional Analog CCTV Cameras for Solar IP Cameras?